Arkad, a leading engineering and integrated projects company based in Saudi Arabia, said it has signed a strategic co-operation agreement with global engineering and industrial solutions powerhouse Bilfinger to help accelerate growth and drive localization in the kingdom. The agreement, in harmony with the Vision 2030, paves the way to harness the opportunities in the oil and gas industry along with chemical, petrochemical, nuclear and renewable energy sectors with advanced solutions and services, while aiming at developing the local value chain and creating employment opportunities for Saudi workforce. 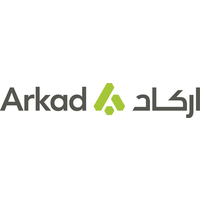 Arkad is a fully integrated EPC contractor offering innovative solutions to the hydrocarbon and energy sector across the kingdom. Headquartered in Al Khobar, Arkad has grown significantly over the last decade, with a 9,000-strong work force and a substantial asset portfolio and world-class competencies in EPC in the kingdom and within the region. Arkad said the co-operation addresses strategic elements such as engineering technology, innovative asset life cycle solutions, in-kingdom fabrication and modularization and environmental solutions. Bilfinger Middle East President and CEO Ali Vezvaei dubbed the partnership as a strong strategic fit, leveraging the two leading companies' portfolio of solutions and services, while uniting them around the joint commitment to support the Kingdom's Vision 2030. "We will together focus on delivering value to our customers by localizing advanced solutions, productivity and efficiency that will create unparalleled value-add for the Kingdom's massive industrial sector," he stated. Hani Abdulhadi, the member of management board of Arkad, said: "Today we are pleased to establish such a partnership with a leading company like Bilfinger." "We strongly believe that our local knowledge, capabilities and skilled resources coupled with the strong technical know-how and pioneering solutions of Bilfinger enable us to provide the market with cutting edge services and solutions and boost local content and employment opportunities, in line with vision 2030," he added.